the apartments,although nice,were not cleaned thoroughly. on arrival,we had to wash the robe drawers out as they were dirty,found a pair of old socks in them and an empty tobacco pack,under the bed. the cleaner came daily,but in the 14 days we were there,only changed the sheets twice and emptied bins. the towels were changed every few days but the rooms werent properly cleaned until departure day. there is only a very limited snack menu available on site,serving basic chip dishes etc,but only until 5pm,meaning you had no choice but to eat out and endure the good mile and a bit walk,to the bars and restaraunts and when you returned,very often the poolside bar was closed,often as early as 9pm. located a long way from the main strip and beach,it was way out of the way,for our liking. leo is the son of viv and he is very laid back,so much so that if he layed back any further he would fall over,he had no go whatsoever,although would do what he could for you. nil atmosphere,no satellite tv and not a lot of music around the place,not much to do,we wanted to come home after day 7,as we were so bored,plus the pool,although clean and large,was absolutely freezing,even though we had temperatures of 30+. sorry,but we wont be returning to esperides again,its just to dull and lifeless. An absolutely brilliant holiday, Leo and Vivi are great hosts and there is nothing that is too much trouble for them. Everything about the rooms, pool and grounds is clean and well appointed. Just a nice stroll from the town centre with some nice restaurants along the way. We will definitely be going back. We stayed for a week and weren't expecting much as we didn't pay much but we was dissapointed with how far out the hotel was. I don't like to stay in the centre but it was a mile from the hotel to the main strip and took a good half hour walk, yes there are a few bars and resturants on the way but these aren't as nice as the resturants in the centre and they are also double the price of what it is in the centre. The maid did come everyday but she only made the beds, never cleaned or changed the bedding. We had to ask for fresh towels and more toilet roll. By the end of the week the apartment floor was in need of a good clean. We went the first week of Sept but the temps at night dropped and all that was avilable were thin sheets on the bed, I pulled a devet down off the top of the wardrobe on the 1st night because I was cold and it smelt fusty, they clearly hadn't been cleaned all summer. We only went to the pool once, yes it is big and plenty of sun beds but the pool was freezing even though it was 30 -35 degrees each day and there was no music around the pool, definatley no atmosphere. We like to come down to the bar and have a drink before going out but found when we came out for dinner at 8 - 8.30pm this was shut. All in all it was only OK, I was disapointed when we first arrived. Really enjoyed our hoilday. The apartments were basic but clean and all you need. The location was perfect not too far from town but far enough for a relaxing break. The pool was loverly clean and well kept. Leo and Vivi the owners could not do enough for you. Will definatly go back again ! I must say out of all the places I have been to this is one of the best. It is a little out of town but if like me your looking for quite then this is for you. The people who own it can not do enough for you and they are very friendly and helpful. The rooms are clean and have everything you could expect. The whole place is very clean including the pool, which has plenty of sun loungers. The bar is great with a good selection of drinks and cocktails all reasonably priced, and plenty of snacks to choose from. I will defiantly be returning to the Esperedes next year. Esperides apartments were very clean it is family run. They cant do enough to help you we hired a jeep out it cost us 115 euros for 3 days be carefull on the trips we booked to go to the blue laggoon nothing like what they said. The pool is very clean amd the food around the bar is very good the walk to the strip is about 10 mins but if you want to go to the main part it will take you about 25 mins and about the same to the beach. if you want a quiet holiday you cant go wrong. the apartments are very basic but you only sleep in them. I have 2 children the age of 9 and 7 they both enjoyed the holiday and loved the pool. These apartments were excellent. They were located in a quite part of Sidari which was ideal for a totally relaxing holiday, however if you wanted the bars, tavernas and restrants they were within a ten minute walk.The pool area was fantastic with ample loungers and parasols, it was very safe and ideal for children and learners to swim. The staff were excellent, and nothing seemed to be a problem, helpful in all areas.I will be going back as the whole party had a great holiday. Thanks very much to Leo & Vivi from all of our party,take care and hope to se you next year. This accommodation was excellent. Was a bit cautious at first when found it was on the edge of town. This proved to be excellent location. 10 Mins walk to nearest bars, retaurants & supermarkets and about 20 mins to main strip in Sidari, however there are plenty of shops to browse in on the way. 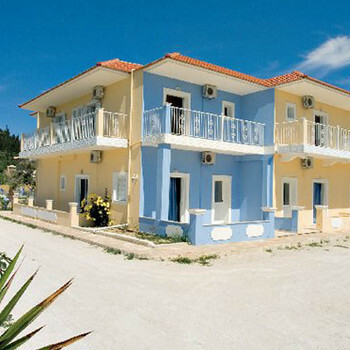 The accommodation was among the best we have had in Sidari. Hairdryer and colour TV's were included in the apartments. The pool area was excellent and clean with plenty of loungers for everybody. Leo and Vivi made us feel very welcome and nothing was too much trouble. Clean and spacious apartment, beautiful location out in hills, Leo and Vivi excellent hosts, great for a peaceful relaxing holiday, first time we wanted to stay on for longer at any resort for along time, hope to go back sometime.